Have you linked-up yet? 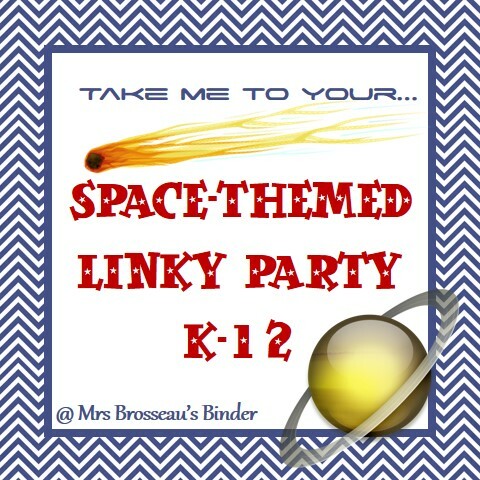 Join in on the Space-themed linky party for K-12 Astronomy Products! 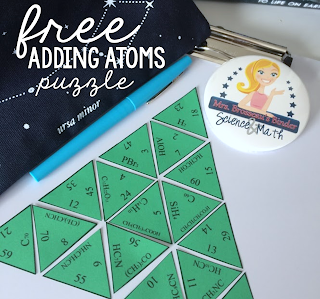 Videos are a great resource when teaching space. Of course, we all know that Bill Nye has quite a few videos on Astronomy, as does NOVA, and the documentaries The Universe and Through the Wormhole. All great videos, but Americans may not have seen the following great videos related to space since they're from Canada and the UK. This one is great, especially if you have students who are fans of the British show. Wet washcloth in space - the kids loved this one so much! The last one year is great if you are teaching Physics - have your kids use celestial mechanics equations and with a bit of research they can validate the values in Hadfield's lyrics. Our school participated in Music Monday - we all sang the I.S.S. 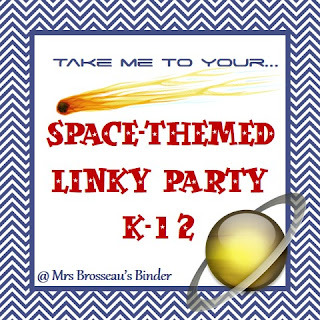 song while Chris Hadfield performed it live from space. It was very cool! Lisa, that must have been so much fun! I remember I was home sick that day so I didn't get to participate but I love Chris Hadfield!